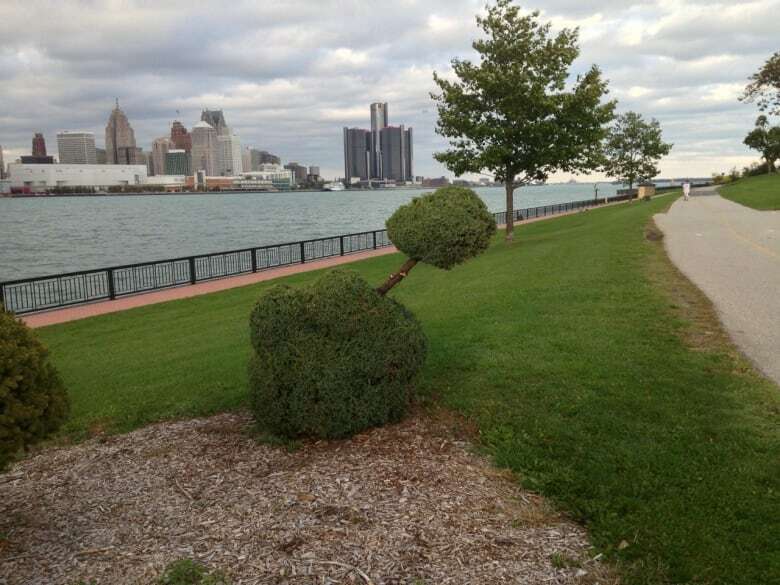 City staff says vandals are responsible for trimming a shrub to look like a phallic symbol on the waterfront. Workers on Wednesday moved quickly to fix the three-metre tall shrub. A photo of the shrub was first posted on an online blog sometime Wednesday. The city made changes after CBC News brought it to the city's attention. Cathy Masterson, the manager of cultural affairs, said the city was unaware of the situation until CBC News emailed her a photo. "Unfortunately, it appears that someone chose to come and vandalize some of the shrubs and turn them into new shapes," she said. "This would definitely have fallen outside of our mandate. It's always surprising when something that unusual happens." Mayor Eddie Francis was not happy when CBC News informed him of the prank. Staff trimmed the bush into what Masterson called a "more traditional shrub shape." Workers cut the shrub back to its trunk in some parts.